The sun rises over Angkor Wat and the pond on the western side. Add tags for "The sun rises over Angkor Wat and the pond on the western side.". Be the first. 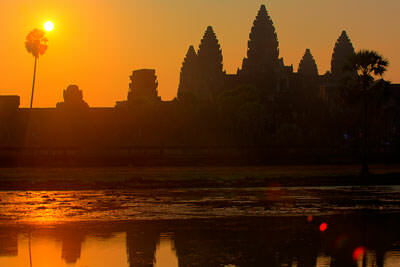 <http://www.worldcat.org/oclc/879368603> # The sun rises over Angkor Wat and the pond on the western side. schema:about <http://www.worldcat.org/oclc/879368603> ; # The sun rises over Angkor Wat and the pond on the western side.